Sunêlia L’Hippocampe offers a natural base for exploring the surroundings hills, mountains or forests. The campsite is ideal for the whole family, providing heated swimming pools and clubs for the little ones, and a host of sports and activities for older ages. Set within olive groves and sleepy villages, this relaxing camping holiday can be booked through LuxCamp. 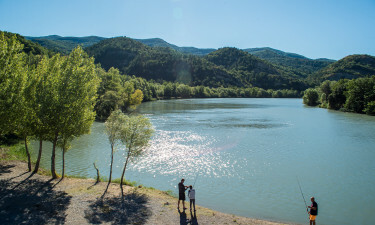 Located near the village of Volonne and the town of Sisteron, Sunêlia L’Hippocampe is set in an 11 hectare park on a lake's edge. This sleepy setting is ideal for viewing the birds in the surrounding hills and relaxing by the pool. There are numerous activities to enjoy within the campsite throughout the day, with impressive mountain hikes 100 km away. 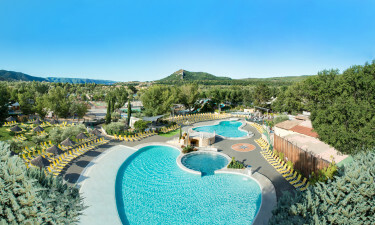 Sunêlia L’Hippocampe has two pools, a whirlpool, a paddling pool for little ones and several water slides and games. Decorated with ornate terraces and olive trees, the poolside area is an ideal resting place for all ages, both old and young. Sunêlia L’Hippocampe is surrounded by nature. If you would like to take a day trip to the coast or beach, Marseille is an 80 minute drive away. 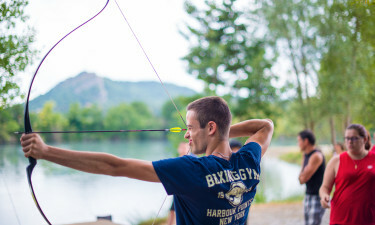 Instead of a local beach, the luxury camping site is close to reserves and lakes for water activities.